Murfreesboro #2 VEGAN CITY In USA! (Murfreesboro) Where did I hear, "If you don't know your community, know your property assessor--and if Rob says it's so...it's so!" Rob Mitchell's tech connections show that Murfreesboro not only is one of the TOP TEN PLACES FOR VEGANS in the nation, but it's number 2! At a time when Tennessee has one of the highest obesity rates in the nation, because we live in a part of the country where there is deep fried everything--covered with gravy. What a surprise to see this vegan connection. Well, our property assessor came across the study by SMART ASSET (click it). Boulder, Colorado is #1 for vegans, and there we are--Murfreesboro, TN is #2. Here's another "Rob-ism": Rutherford County has the lowest smoking rate of all counties in Tennessee! Only 18.2 per cent of adults smoke in Rutherford County. Yes, that is even lower than our next door neighbor, Williamson County! Mitchell commented, "Assessor's must know their communities in order to best value them. As we uncover new trends, we will do our best to keep you informed." 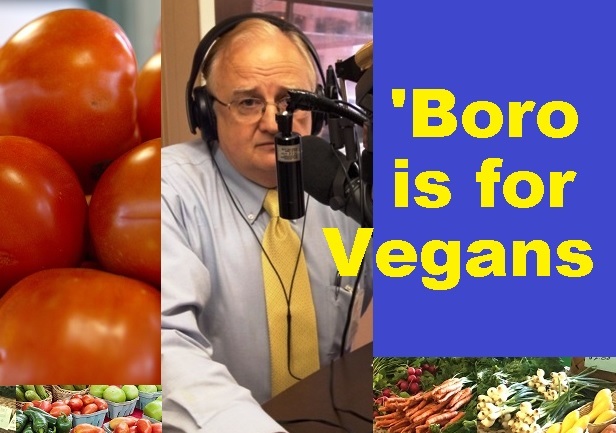 A local vegan told WGNS, "Murfreesboro is home to ZERO vegan establishments. Just having some vegetable options on your menu does not make it a good spot for vegans that wish to dine out. Being able to walk into a restaurant and not have to worry about anything on the menu being animal product, or wondering if it's cruelty free, is what makes a vegan establishment great. It's something that people who eat plant based have been wishing for in Murfreesboro. But all we keep getting are chain restaurants and more fast food. Not to mention that being a vegan friendly city means more than just having vegan friendly options on a menu. I am a vegan living in Murfreesboro, and I can tell you first hand that it is not a vegan friendly city, and the number of plant based individuals is few."